Well for those of you among my British audience, today is the big day. Can Malcolm Tucker save Nicola Murray from—wait, nope, that’s fictional British politics. But that doesn’t mean today’s results won’t be exciting. For those of you now from the UK, a majority of my readers, the UK is looking at what is called a hung parliament. In other words, nobody will win a majority of seats, which means that smaller parties will need to be included in a coalition government, a sort of fairly new—but also not really—development in British politics. We could dive deep into all of these, but I have not the time. But, let’s start with the Guardian. They have a nice set of polling and prediction guesstimators. What is really nice, however, is the seat changing graphics. These show you where the gains and losses are predicted to originate. The BBC has a much less involved piece. This is the only thing I can find. However, the BBC will undoubtedly have interesting visuals during their live broadcast of the results. Jeremy Vine can always be counted on for weird presentational things. Oh, and they have the swingometer. 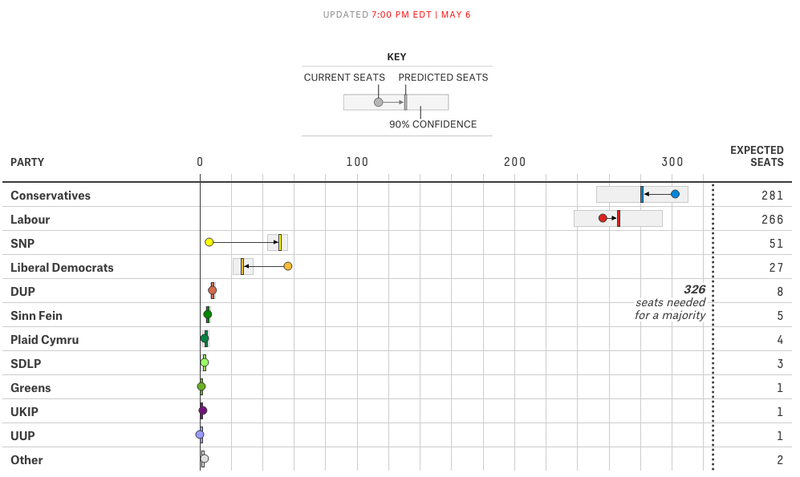 Back in April we looked at the Fivethirtyeight predictions. And we might as well throw the latest screenshot up and compare that to the Guardian and the BBC. 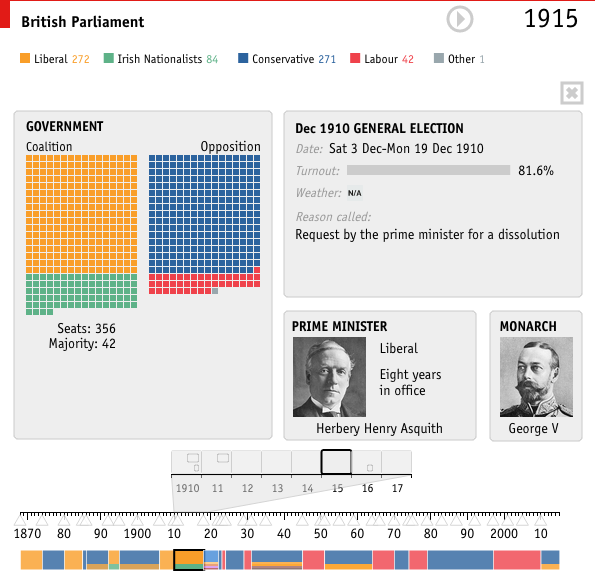 The Economist has a nice poll tracker with some simple controls for some simple filtering. But, these are, like the BBC’s, without an impact of number of seats. The Economist does, however, offer a separate build-your-own-majority calculator. The New Statesmen has built a site dedicated to May 2015, and their current predictions are as follows below. The only drawback to all of these pieces is that I will be busy coaching softball tomorrow night. So I will be unable to watch the BBC’s coverage of election results. 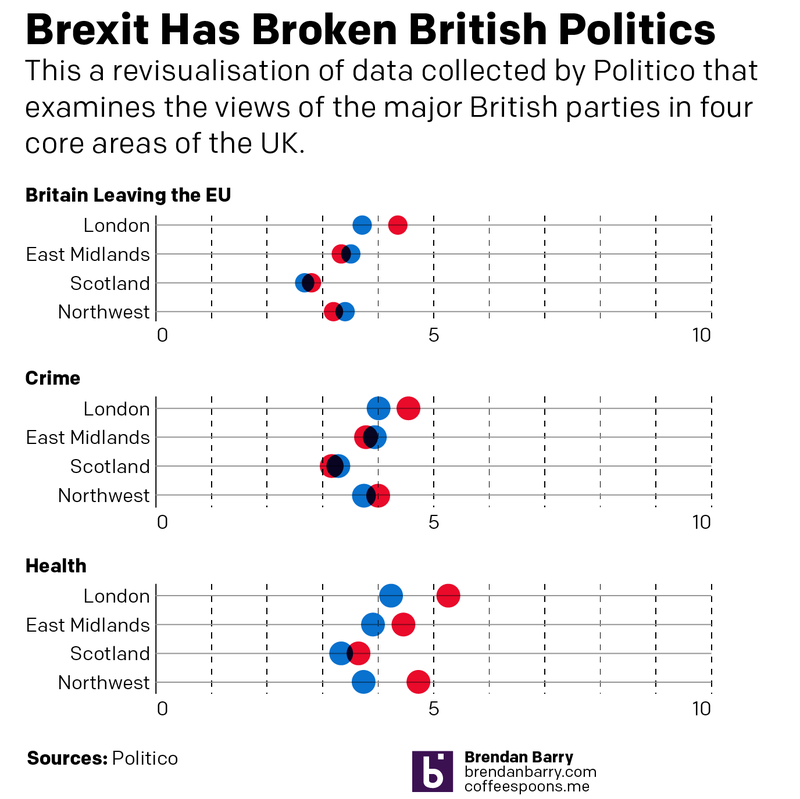 And that is most unfortunate, because British politics are far more fascinating than the bland and boring two-party politics of the United States. Credit for the Guardian piece goes to Caelainn Barr, Helena Bengtssoni, Chia-Jung (Apple) C.Fardel, Seán Clarke, Cath Levett, Alberto Nardelli, and Carlo Zapponi. Credit for the BBC piece goes to the BBC graphics department. Credit for the Fivethirtyeight piece goes to Matthew Conien and Ritchie King. Credit for the Economist piece goes to the Economist’s graphics department. Credit for the New Statesmen piece goes to the May 2015 graphics team. 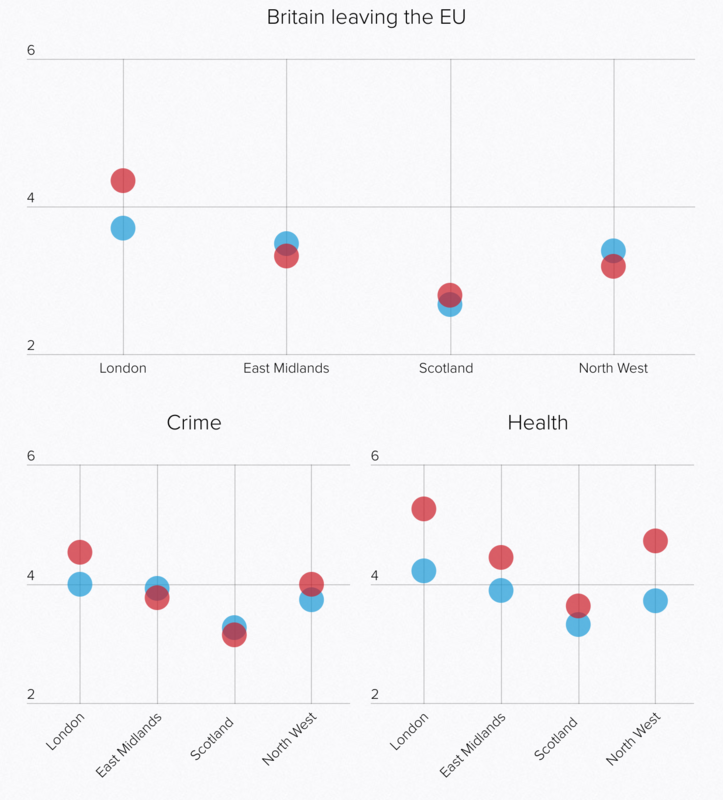 If you missed it, last week the United Kingdom held a few by-elections. For we Americans, those are like special elections for seats in the Senate or the House that are not part of the regular Congressional elections. Anyway, the big news was that the United Kingdom Independence Party (UKIP)—think Tea Party wanting out of the European Union…kind of—won a by-election for Clacton-on-Sea (not surprisingly located on the sea) from the Tories (think establishment Republicans). UKIP almost won a by-election away from Labour (kind of think Democrats?). The former was shocking but not surprising, the latter was both. Anyway, one of the drivers of the results was the fact that British voters are no longer consistently voting for either the Tories or Labour. 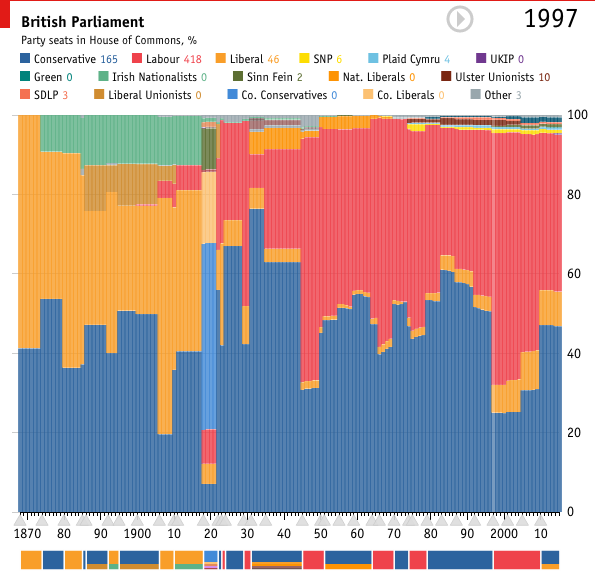 The Telegraph used a nice graphic to show just how far the British two-party system has declined from its peak in 1951. The piece is not very fancy, but it does the trick. 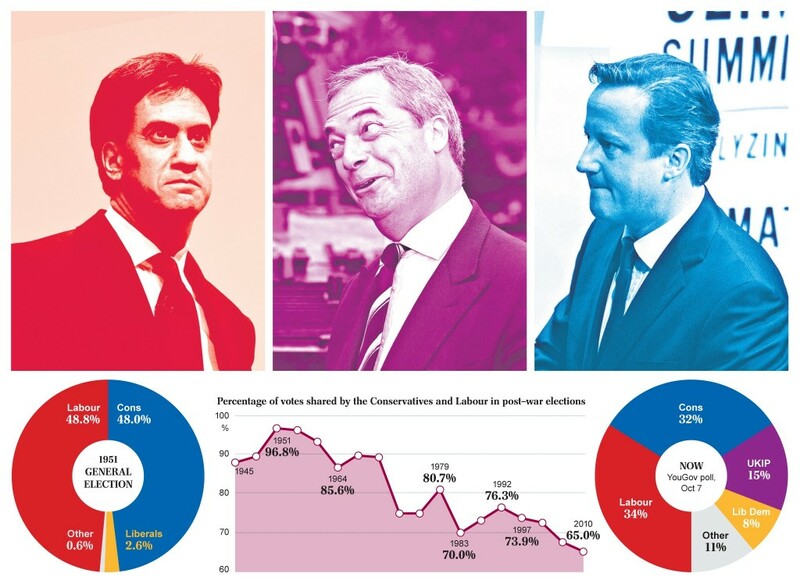 Credit for the piece goes to the Telegraph’s graphics department.